Staff and students celebrated National Poetry Day 2017 at Bishop Grosseteste University (BGU) in Lincoln yesterday with a special event. Dr Claudia Capancioni and Dr Cassie Ulph from BGU’s English Literature team at BGU hosted an afternoon of readings on the National Poetry Day’s theme of ‘Freedom’. Dr Andrew Jackson, historian and Head of School of Humanities at BGU, opened the event, introducing a poem by Lincolnshire’s First World War Home Front poet, Bernard Samuel Gilbert. The poem was performed in dialect by local poet and folklorist, Maureen Sutton, and was warmly received by the audience. 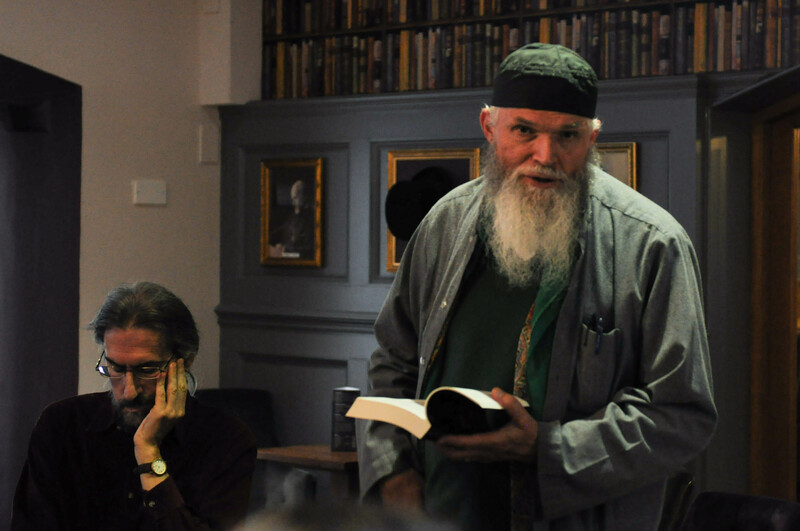 The event featured Paul Sutherland, Sufi Muslim poet, who read from his eleventh and newly published collection, ‘New and Selected Poems’. Members of local poetry group The Pimento Poets also took part in the event. Another Lincolnshire poetry hero, Lord Alfred Tennyson, made an appearance thanks to the BGU Tennyson Poetry Award. The student winner of the Tennyson Poetry Award 2017 was announced as Phil Nicholls with his poem ‘Do they even know’. Students at the event also read highly commended poems – ‘The Bird’s Song’ by Cameron Robson and ‘The Wild Poet’s Song’ by Laura Taylor Caçoete. Paul Sutherland, Nic Lance, and Maureen Sutton joined students and staff in reciting poems and sharing thoughts on the theme of ‘Freedom’. There were emotional moments and funny ones, unpublished poems and very famous ones; most importantly, a sharing atmosphere where everyone in the audience felt free to talk, read, and make poetry happen in its most powerful way. Inspired by National Poetry Day 2017? Find out more about English at BGU.